Does anyone know somewhere that stocks the hose. The garage has told me they are on back order with ford for 3 weeks. Installation is basically straightforward and will take less than half an hour. Next to these hoses it is also a very good idea to replace the coolant ﻿reservoir cap. 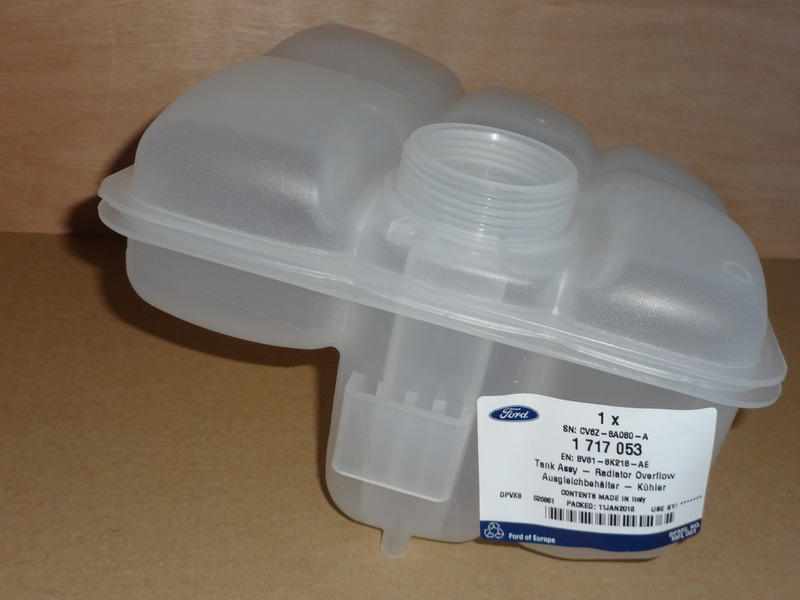 There is a revised coolant reservoir cap which was introduced on the 1.6﻿ ECOboost cooling system recall. This revised coolant reservoir cap is fully compatible with all other engine types and has Finis number 5193938. As @iantt says the MK3.5 conversion is basically the best option. MK3.5 1.0 ECOboost cooling system. Would be a good option... But I got the garage to look into my coolant loss and they changed the tank and made a hose as they couldn't get one. So now they are telling me the only option is to fit an original when available. Just tell them to order the hoses as above and fit them , wilco says there cheaper than the original too. Isn’t the MK3.5 just as bad that pipe/hose is still made out of plastic? The plastic is not the problem. On the MK3 the plastic line is connected to a plastic T-piece of the degas hose in front/top of the engine. The connection between the plastic line and the plastic T-piece suffers a lot from vibrations and heat from the turbo. The combination of the vibrations and heat causes the material of the plastic line and the plastic T-piece to deteriorate prematurely. Most failed degas hoses or degas hoses that are changed as a preventive measure show signs of discoloration and ageing of the plastic material near the joint of the plastic line and the plastic T-piece. Another problem is that the plastic line is poorly connected to the plastic T-piece. During production of the degas hose the plastic line is heated and installed onto the hose tail of the plastic T-piece. This installation method already causes deformation of the material of the plastic line during production. This joint is basically the weakest link of the complete degas hose. After I converted my car to the MK3.5 hoses the degas hose (latest design, 3.5 Years/15.000 KM old) seemed to be in decent condition at first sight. 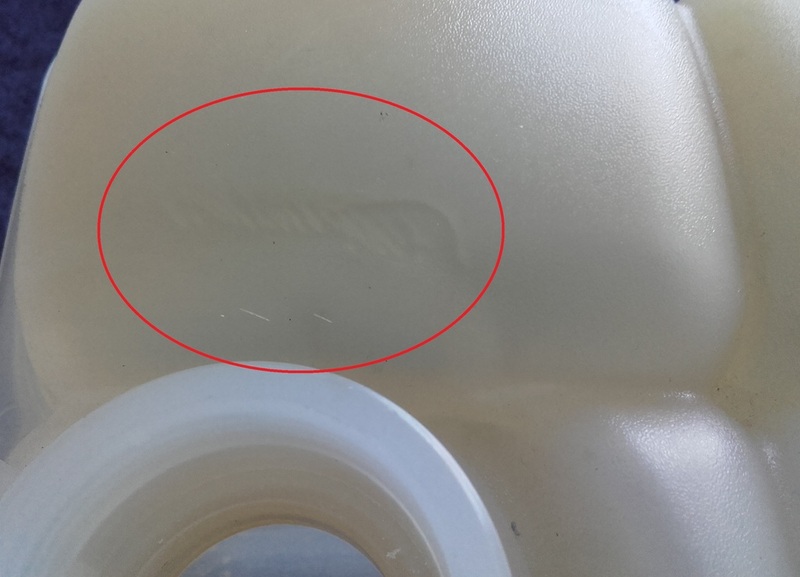 However during a closer inspection the connection of the plasic line to the plastic T-piece turned out to be very weak/loose. 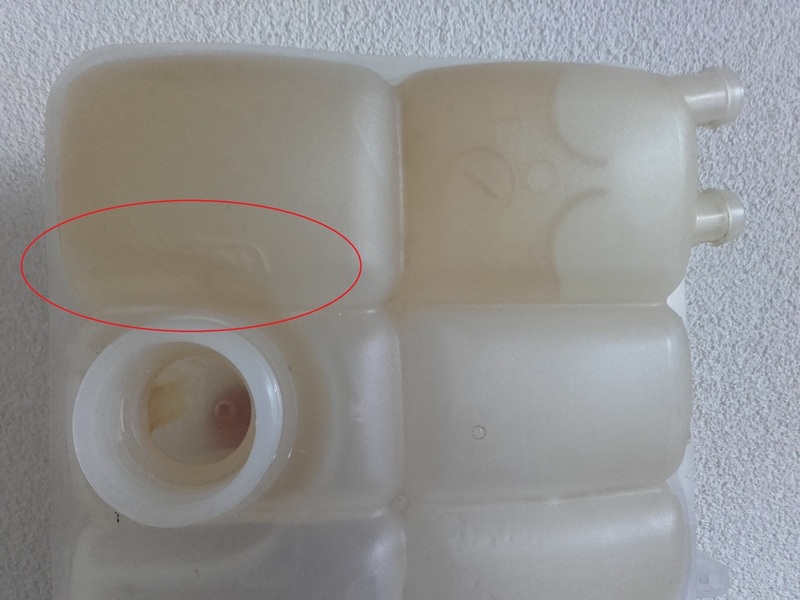 The plastic line could easily be removed from the T-piece without much effort. When the hose had came apart from the T-piece when driving the car the engine would most likely be damaged. It is almost impossible to recognise this problem during a visual inspection. The MK3.5 plastic line suffers from a lot less heat and vibrations. Next to this the MK3.5 plastic line has quick connect connectors at both ends of the plastic line. These quick connect connectors are plastic welded onto the plastic line using the ultrasonic plastic welding technique. This connection is a lot more durable than the connection of the MK3 plastic line. Apart from this the MK3.5 design hoses were used for about 4 Years (2014 -2018) without changing the design or any known problems. The MK3 design hoses however were only used for 2 Years (2012-2014). Within these 2 Years the design changed several times because of the known issues. 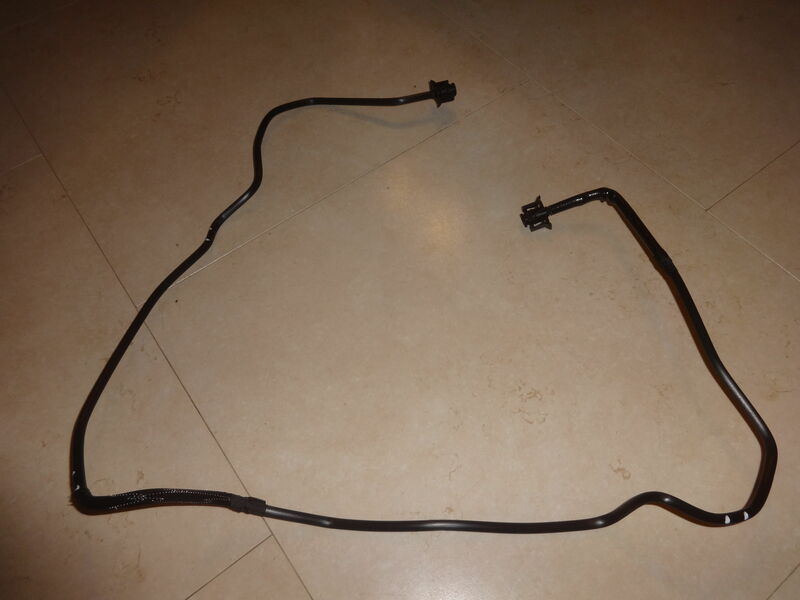 1: Replace the MK3 degas hose about every 3 Years and inspect it regularly. There is a huge demand for this type of hose (it is out of stock quite often). Because of the huge demand the price of this degas has increased drastically. The price tripled within the last Year. 2: Convert the cooling system to MK3.5 specs. by changing 2 hoses. This is currently the cheapest option (and in my opinion also the best option). It's also worth noting that all of the Mk3.5s come with the electronic coolant pump which reduces the heat concentration in the pipes right by the turbo after engine shut off. Depending on your drives, engine shut-off can be happening several times a day with start-stop, this excess heat is then stationary and concentrated right in the plastic T piece/top of the thin plastic hose of the Mk3 system for several seconds or even minutes, speeding up the plastic degradation process. The additional electric coolant pump is installed on the Focus MK3 1.0 ECOboost as standard from production date 05-05-2014. Vehicles that are produced before this date do only have the additional electric coolant pump as standard when the car has a factory fitted towing hook. It is highly recommendable to install the additional electric coolant pump on vehicles that came without the pump whether the car has a towing hook or not. On the MK3.5 however Ford decided to save a few pounds by no longer installing the intercooler fan after a certain production date. From this production date onwards the intercooler fan is only installed on vehicles for hot climates or vehicles that have a factory fitted towing hook. In this case it is highly recommendable to install the intercooler fan on vehicles that came without the fan whether the car has a towing hook or not. The missing intercooler fan affects both performance and engine temperature when driving slowly in hot ambient temperatures. I have ordered the two new hoses/pipes, are these more reliable and not prone to breaking like the older degas pipe with the T piece? Also is there a FINIS number to order the cooler? I'd like to know the FINIS number of the coolant fan too please. Found the hoses and ordering. Going to get local garage to install them. On cars that do not have the additional coolant pump it is highly recommended to retrofit the pump. All needed parts cost approximately 250 pounds from Ford and the installation will approximately take 2 to 3 Hours. After all parts are installed the PCM needs to be reprogrammed with the correct software that has the ability to control the additional coolant pump. This is a very easy conversion which costs approximately 60 pounds. This is about the same price as the single MK3 degas hose. Also inspect the coolant reservoir thoroughly and in case any (micro)cracks are found the coolant reservoir and coolant reservoir cap should be replaced. Below some pictures of a coolant reservoir that was less than 3 Years old when I changed it. This reservoir is cleaned completely after disassembly and shows several signs of discoloration and (micro)cracks. In case of any doubts the reservoir should and reservoir cap should always be replaced. These are inexpensive parts that can prevent a lot of trouble. 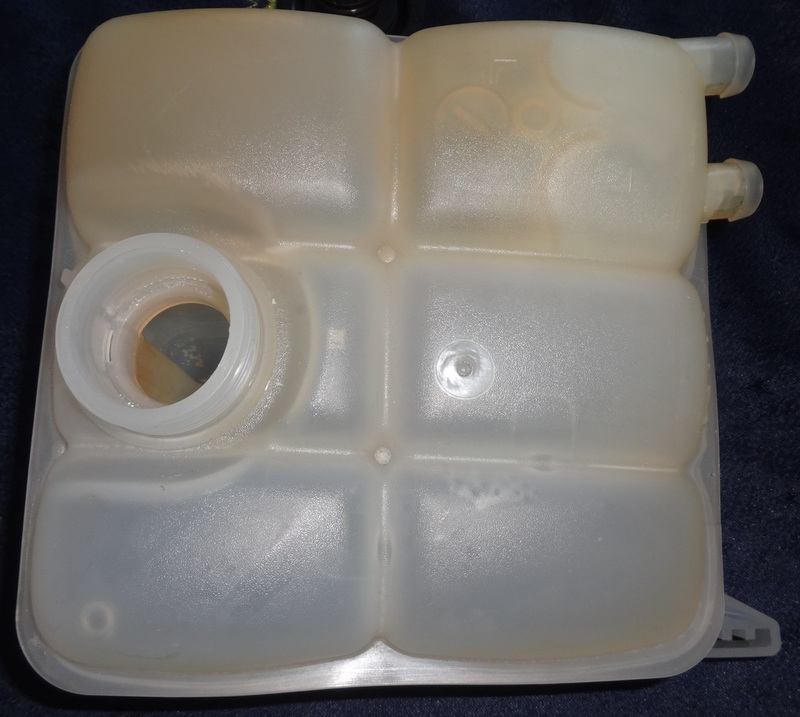 The coolant reservoir and the coolant reservoir cap cost approximately 40 Pounds. It is also a good idea to inspect the waterpump for leaks. This type of waterpump has a mechanical seal that is lubricated and cooled by coolant. It is perfectly normal for this type of mechanical seal to leak a tiny amount of coolant. 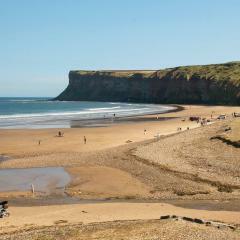 Especially when the seal has not been fully bedded in yet. Unfortunately the original (Pierburg) pump quite oftes suffers from a leaking seal. 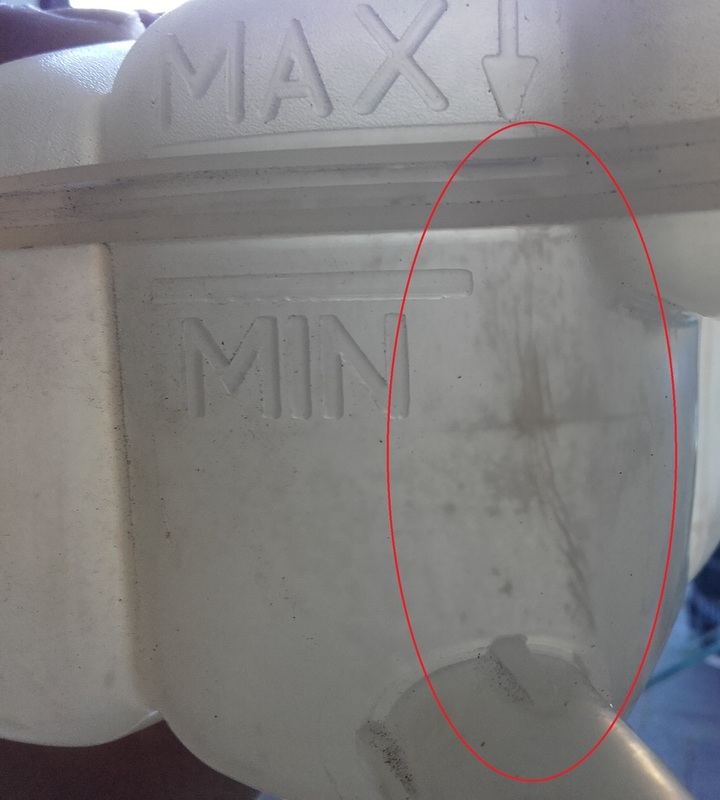 If there are excessive signs of coolant (both drops or traces of dried coolant) it i a good idea to replace the waterpump. A replacement SKF waterpump Which in my opinion is better quality than the OEM Pierburg waterpump) will cost approximately 100 pounds. Installation of the new pump should take less than 1 Hour. By retrofitting the additional electric coolant pump, converting the hoses to MK3.5 spec. 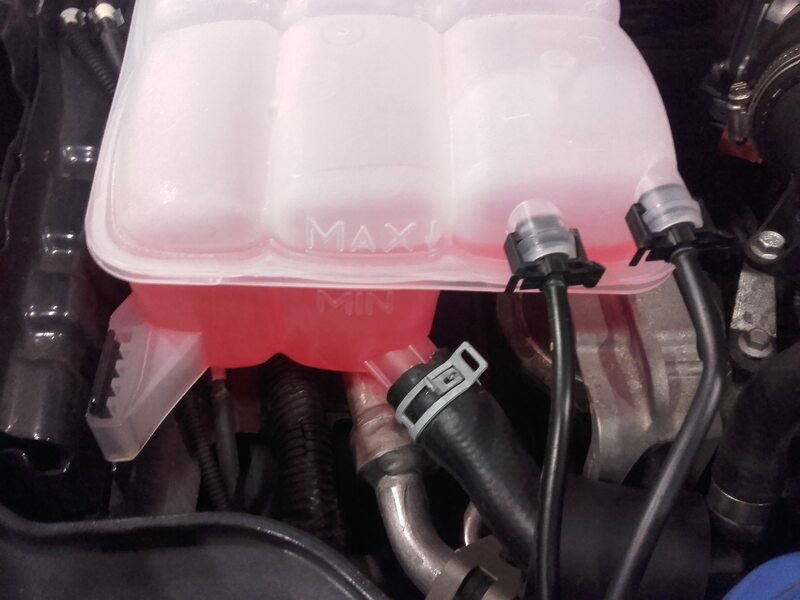 and inspecting the coolant reservoir, coolant reservoir cap and waterpump (and replacing them if needed) all of the known MK3 1.0 ECOboost cooling system problems are basically solved. It will make the car more reliable and also give you peace of mind. If only I could take that post and just give it to the local garage and say, here you go... sort it please! I don't suppose any one has a walk through on how to fit the electric pump on a mk3? How, where and how to reprogram the PCM? Or would you say this is a ford thing to do? Also if someone could provide the part numbers I'll source and see if I can get someone to fit it for me? 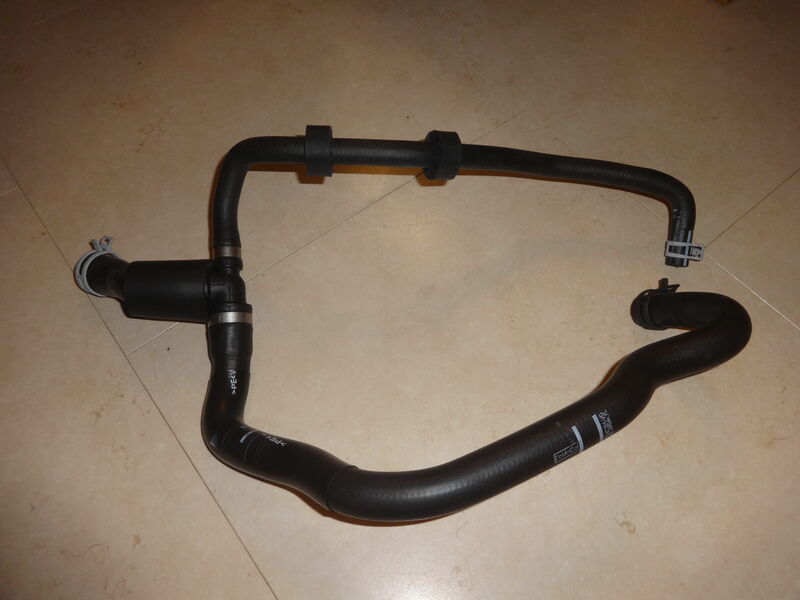 I've just ordered the mk3.5 hoses as suggested earlier in this thread and saved the GIF diagrams to provide the garage on how to do it. I got a new coolant tank as well as cap coming. Reprogramming of the PCM needs to be done preferably with the Ford IDS or FRDS diagnostic system. During the update procedure the diagnostic system asks whether the car has the additional coolant pump or not. Depending on this the diagnostic system automatically selects the latest version of the correct software. Thank you again. I've got all but the electric pump stuff. That may have to wait until next month as money is a bit tight at the moment. Also still need to get these new hoses and tank fitted first. Really appreciate the responses though. Well I've just had my first reject from a local garage refusing to retrofit the coolant pipes for me. They said that due to the known coolant problems with the engine, they don't want to be involved in changing something that wouldn't be standard.